The Rivers State chapter of the Peoples Democratic Party, PDP, says the best thing to happen to the Party in the State is to have a man of unequalled political stature and unassuming personality as the leader of PDP in the State in the person of Chief (Barr) Nyesom Wike. This is a statement of fact and can only be unacceptable to those who are envious of the Minister's rising political profile within and outside the State. The State chairman of the PDP, Bro Felix Obuah disclosed this while reacting to statements made by one Chief Sara-Igbe on a live programme on Nigerian Info radio, alleging that the party is angry with its State leader, Chief Wike, describing such comment as laughable. According to the State PDP Chairman, Chief Sara-Igbe is not a member of the PDP and may be replicating same old propaganda, the All Progressives Congress, APC, is known for. 'We challenge Chief Sarah-Igbe to muster the courage to challenge Chief Wike if he has the muscle and stop hiding under the canopy of the APC to whip up sentiments devoid of any substance' Prince Obuah remarked. 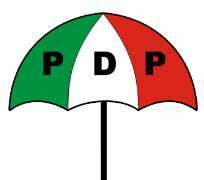 The PDP chair has therefore enjoined all members and supporters of the PDP across the state to discountenance Sara-Igbe's hollow statements and continue to support the Party, stressing that Chief (Barr) Nyesom Wike still and will continue to enjoy the admiration and confidence of the PDP both at the State and national level.